I’ve long been deeply invested in the performance of threat modeling with particular attention to doing so in operational environments rather than limiting the practice to simply software. I wrote the ITInfrastructure Threat Modeling Guide for Microsoft in 2009 with the hope of stimulating this activity. In recent months two events have taken place that contribute significantly to the threat modeling community. In February Adam Shostack published his book, Threat Modeling: Designing for Security and I can say, without hesitation, that it is a gem. 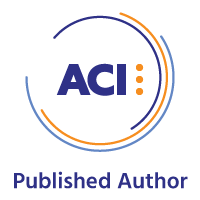 I was privileged to serve as the technical proof reader for this book and found that its direct applicability to threat modeling across the full spectrum of target opportunities is inherent throughout. I strongly recommend you add this book to your library as it is, in and of itself, a tool for threat modelers and those who wish to reduce risk, apply mitigations, and improve security posture. This was followed in mid-April by the release of the Microsoft Threat Modeling Tool 2014. The tool had become a bit stale and the 2014 release is a refreshing update that includes a number of feature improvements that we’ll discuss shortly. We’ll also use the tool to conduct a threat model that envisions the ISSA Journal’s focus for the month of May: Healthcare Threats and Controls. 1) What are you building? He describes that building an operational system is more likely to be building additional components on top of an existing system and that it's therefore important to model both what you have and how it's changing. 2) What can go wrong? Adam reminds us that you can use any of the threat enumeration techniques, but that, in particular, STRIDE relates closely to the “CIA” set of properties that are desirable for an operational system. I’ll add OWASP Risk Rating Methodology to the tool’s KB for good measure, given its direct integration of CIA. 3) What are you going to do about it? Several frameworks can be used here, such as prevent, detect, and respond as well as available technologies. 4) Did you do a good job at 1-3? Adam points out that assurance activities (which can include compliance) can help you. More importantly, you can also use approaches such as penetration testing and red teaming to help you determine if you did a good job. I am a strong proponent for this approach. My team at Microsoft includes both threat engineers for threat modeling and assessment as well as penetration testers for discovery and validation of mitigations. With clear alignment around the premise of operational threat modeling let’s take a look at what it means to apply it. 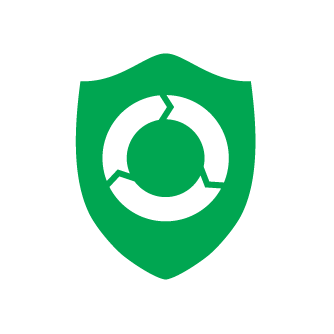 Emil Karafezov, who is responsible for the Threat Modeling component of the Security Development Lifecycle (SDL) at Microsoft, wrote a useful introduction to the Microsoft Threat Modeling Tool 2014 (TMT). Emil let me know that there are additional details and pointers in the Getting Started Guide and the User Guide which are part of the Threat ModelingTool 2014 Principles SDK. You should definitely read the introduction as well as the guides before proceeding here as I will not be revisiting the basic usage information for the TMT tool or how to threat model (read the book) and will instead focus more in depth on some key new capabilities. I will do so in the context of a threat model for the operational environment of a fictional medical services company called MEDSRV. Figure 1 includes a view of the MEDSRV operational environment for its web application and databases implementation. Emil offered some additional pointers not shared in his blog post that we’ll explore further with the MEDSRV threat model specific to data extraction and search capabilities. From a workflow perspective, the ability to extract information from the tool for record keeping or bug filing is quite useful. The previous version of the TMT included Product Studio and Visual Studio plugins for bug filing but Emil describes them as rather rigid templates that were problematic for users syncing with their server. With TMT 2014 there is a simple right-click Copy Threats for each entry that can be pasted into any text editor or bug tracking system. 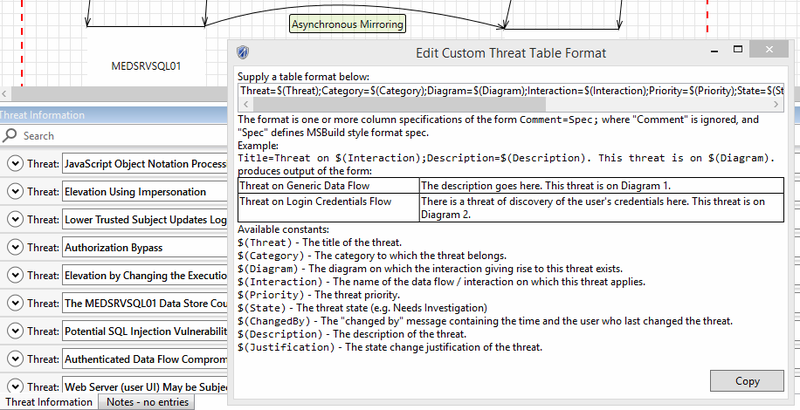 For bulk threat entry manipulation there is another feature ‘Copy Custom Threat Table’ which lets you dump results conveniently into Excel, which in turn can be imported into workflow management systems via automation. When in Analysis View with focus set in the Threat Information list use the known Ctrl+A shortcut to select all threat entries and with right-click you can edit the constants in the Custom Threat Table as seen in Figure 2. Emil also pointed out that TMT 2014’s Search for Threat Information area, while seemingly a standard-to-have option, is new and worth mentioning. This feature is really important if you have a massive threat model with a plethora of threats; the threat list filter is not always the most efficient way to narrow down your criteria. I have found this to be absolute truth during threat modeling sessions of online services at Microsoft where a large model may include hundreds or thousands of threats. To find threats that contained keywords specific to a particular implementation of your mitigations as an example, using Search is the way to go. You might be focusing on data store accessibility as seen in Figure 3. Ralph indicated that the TMT tool has not historically supported any kind of migration to newer versions; the ability to migrate models from earlier versions to the 4.1 version is therefore a powerful feature for users who have already conducted numerous threat models with older versions. Threat models should always be considered dynamic (never static) as systems always change and you’ll likely update a model at a later date. Note: I renamed the original KnowledgeBase to KnowledgeBase.bak then copied KnowledgeBaseMEDSRV back to the original destination directory and renamed it KnowledgeBase. This prevents corruption of your original files and eliminates the need to re-install TMT. If you’d like my changes to ThreatCategories.xml and ThreatTypes.xml hit me over email or Twitter and I’ll send them to you. That said, following are snippets (Figures 4 & 5) of the changes I made. Take notice of a few key elements in the modified XML. I set OTI1 for OWASP Technical Impact and O to O for OWASP. J Remember that each subsequent needs to be unique. I declared source is 'GE.P' and (target is 'GE.P' or target is 'GE.DS') and flow crosses 'GE.TB' because GE.P defines a generic process, GE.DS defines a generic data store and GE.TB defines a generic trust boundary. Therefore, per my modification, data subject to technical impact factors flows across trust boundaries between processes and data stores. Make sense? 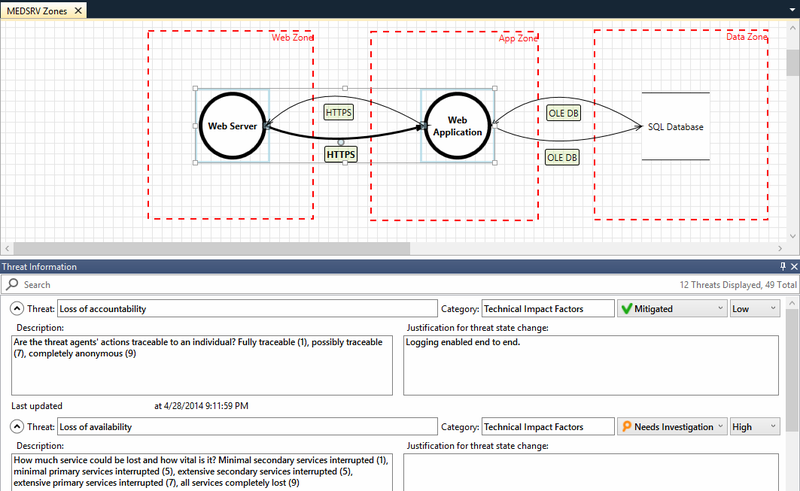 I used the resulting TMT KB update to provide a threat model of zones defined for MEDSRV as seen in Figure 6. I’m hopeful these slightly more in depth investigations of TMT 2014 features entices you to utilize the tool and to engage in the practice of threat modeling. No time like the present to get started. We’ll learned enough here to conclude that you have two immediate actions. 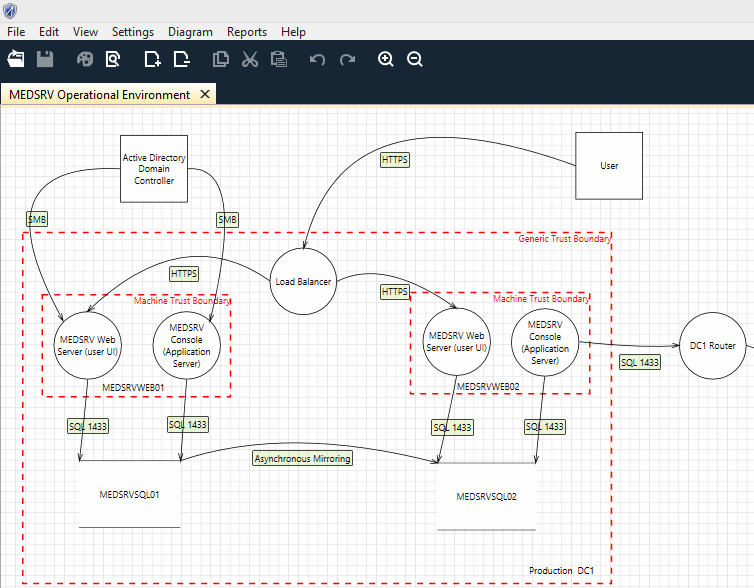 First, purchase Threat Modeling: Designing For Security and begin to read it. Follow this by downloading the Microsoft Threat Modeling Tool 2014 and practice threat modeling scenarios with the tool while you read the book. 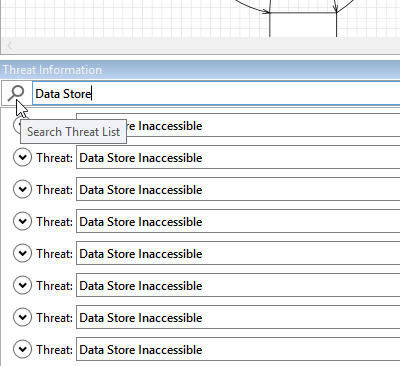 Conducting these in concert will familiarize you with both the practice of threat modeling as well as the use of TMT 2014. Remember that July’s ISSA Journal will be entirely focused on the Practical Use of InfoSec Tools. 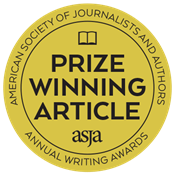 Send articles or abstracts to editor at issa dot org.